EMV stands for Europay, MasterCard and Visa, the three companies that created the EMV standard in the U.S., which requires the use of chip-cards (debit and credit) and chip-enabled point-of-sale (POS) terminals. EMVCo is the conglomerate that manages and maintains the EMV standard and is comprised of Visa, MasterCard, American Express, JCB, Discover, and UnionPay. The transition to the EMV standard in the U.S. continues to be an ongoing process in which millions of credit and debit cards have been redistributed to consumers and new POS terminals capable of reading the new cards are being installed by merchants. As part of the transition, Visa and MasterCard instituted a “liability shift” that took effect on October 1, 2015, making merchants fully liable for any fraudulent purchase that takes place at a non-EMV certified terminal. Merchants across all industries have faced challenges throughout EMV implementation due to delays in the manufacturing of EMV terminals and the certification process that is required to activate them. As a result, many merchants are facing a significant increase in chargebacks. Some larger chains have reported EMV-related chargebacks in excess of $1 million per week following the liability shift. Despite making the investment to comply with the October 1 deadline by installing the necessary equipment in their stores more than a year in advance of the liability shift, many merchants of all sizes have been unable to obtain the required certifications through no fault of their own. While the EMV shift has been sold by EMVCo and the consortium of companies that comprise it as a step forward for credit and debit security, the EMV transition in the U.S. excludes a requirement for a personal identification number (PIN) with each transaction. The U.S. Federal Reserve has previously stated that PINs make transactions 700% more secure. The independent supermarket industry values security and believes that the use of a PIN, in conjunction with EMV chip technology, provides greater security for customers and merchants alike. NGA has worked diligently to maintain a healthy dialogue with Visa on the challenges faced by independent supermarket operators as they continue to make the transition to EMV. To view NGA and Visa’s correspondence, click HERE. These conversations resulted in Visa’s announcement in June of 2016, that they would be making changes to its EMV certification policy to ease the chargeback burden on merchants by eliminating any chargebacks under $25. MasterCard is expected to make a similar announcement in the coming months. To find out more about Visa’s announcement, please click HERE. 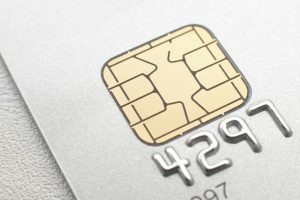 Additionally, NGA continues to educate Members of Congress on the EMV transition and its effects on merchants, as well as the need for PIN security along with chip-embedded cards. NGA has engaged extensively with Senator Durbin (D-IL) and Congressman Peter Welch (D-VT) on the EMV issue. In May of this year, Senator Durbin sent a letter to EMVCo urging it to incorporate additional stakeholder involvement in its governance. To view Senator Durbin’s letter, please click HERE. For any questions specifically in regard to the EMV issue, please contact Greg Ferrara (GFerrara@NationalGrocers.org) or Chris Jones (CJones@NationalGrocers.org).